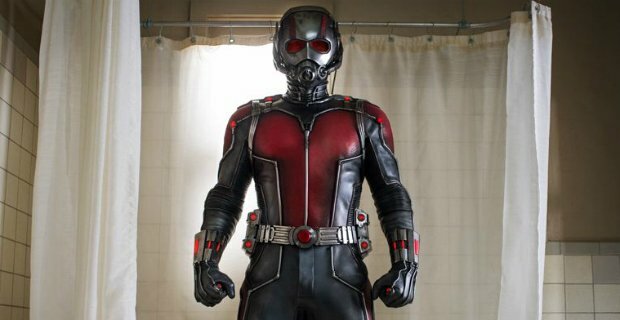 James Gunn Raves About Ant-Man, Calls It A “Complete Blast” !!!! Marvel fans the world over are holding their breath in anticipation of the first reviews for next month’s Ant-Man hitting the web, and luckily for the fans and filmmakers alike, advance buzz is overwhelmingly positive. Now, Guardians of the Galaxy director James Gunn is adding his two cents. Readers may remember how Gunn elegantly responded to Edgar Wright’s controversial departure from the director’s chair at a time when accusations were flying back and forth like an angry Asgardian. Now, he’s had a chance to finally see what replacement helmer Peyton Reed and company have come up with – and it sounds like he’s a big fan. Ant-Man may just be my favorite Marvel film since Jon Favreau’s Iron Man (well, maybe excluding one film to which I’m partial). Honestly, the movie is a complete blast! I was so happy after seeing it. It’s never boring for a second and it’s hilarious and warm throughout. It doesn’t get caught up in the webbing of its own science-fiction concept like so many movies do these days, remaining simple and elegant. It’s a part of the Marvel universe without being ruled by that fact. Paul Rudd is nuanced and charming and funny and is a surprisingly natural fit as a modern superhero (side-fact – Paul must be a nice guy, because he and I dated the same girl in college, and yet I still love him). Michael Peña KILLS IT – this movie is going to make him a huge star. My old pal Judy Greer (she was Deadly Girl to my Minute Man in The Specials (film) many moons ago) is great in a small role. And Michael Douglas is awesome. I think all of Peyton Reed’s years directing have led him to making something as deft and nimble and joyous as this; he did an incredible job. And, despite Edgar Wright’s parting from Marvel, his spirit is felt through the entire project, and there is no doubt everyone owes him a huge debt of gratitude. I left the theater incredibly happy. So often I see movies by people I love which are just okay – it’s great to love a movie as much as I love the people who made it. This is a photo of me and David Dastmalchian at the premiere after-party last night – David plays a Russian hacker in the movie and nearly every single line out of his mouth gets a laugh. He’s getting on a plane this morning to fly back to Colombia to resume filming his other movie – my movie, The Belko Experiment. Congrats to the the whole Ant-Man team. Amazing work, guys! And, for the 99.99% of the people reading this who aren’t part of the Ant-Man team, go check it out when it hits theaters (in a lot of places) July 17. Ant-Man opens on July 17. Tell us, are you excited to check it out once it hits theatres? Sound off below! Home / News / James Gunn Raves About Ant-Man, Calls It A “Complete Blast” !!! !